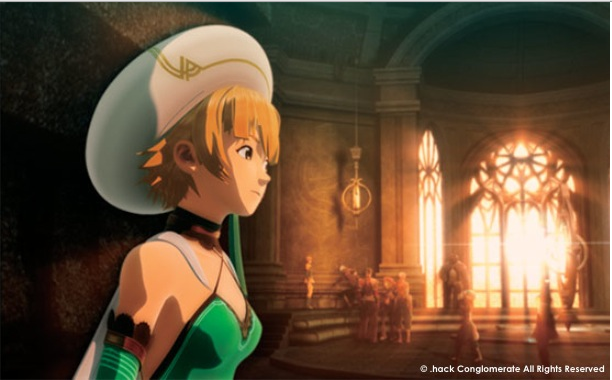 .Hack//G.U. 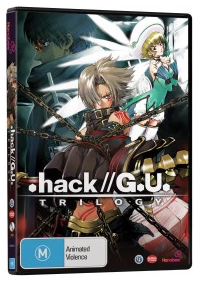 Trilogy is a computer generated film based on the video game .Hack//G.U. for the Playstation 2. 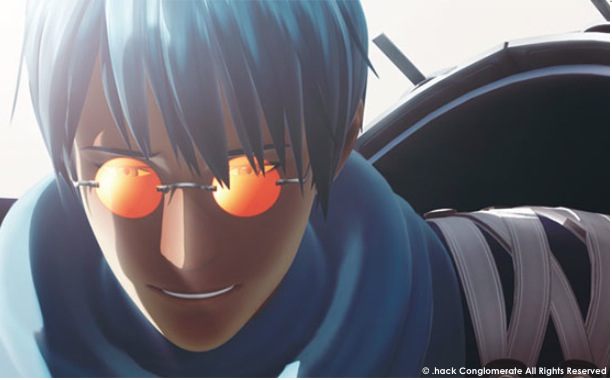 Set inside a fictional MMO game called “The World” the movie is about a PK (Player Killer) named Haseo who is on a quest for revenge when a warrior named Tri-Blade kills the woman he loved. 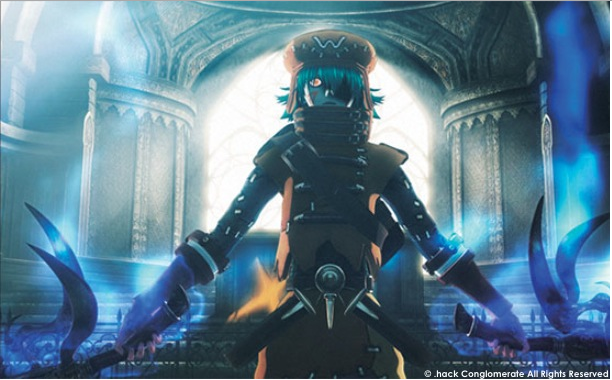 Haseo then gains a new party member named Atolli who uses the same character skin as his love (well this is meant to be set in a MMO after-all so you are bound to run into people that look the same). They eventually meet up with Tri-Blade who then beats up Haseo to the point where he is close to pushing up daisies. 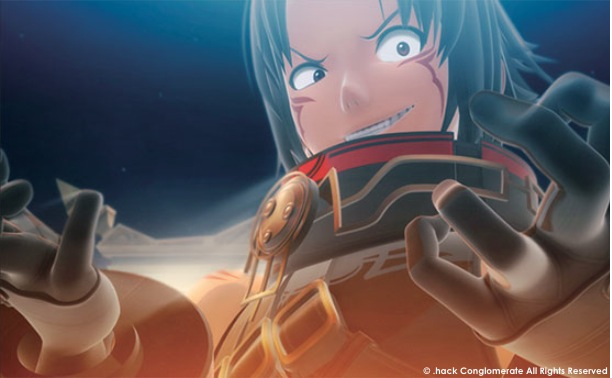 Lucky for Haseo he gets saved by a group called AIDA who then help him level him up to a point where he can absolutely obliterate Tri-Blade but there is also something darker going on when certain players are falling into comas due to reasons unknown. (Click "Read More" to see the full review). The first problem we have right from the get go is that this movie is only ninety-three minutes and the game it's based on is a massive three disc game that takes over one-hundred hours to beat and it shows as the story is rushed so they could fit everything they could to fit it into a film. This also makes it hard to follow the story as it goes by so fast you'll forget what the movie is about. Another problem is that the characters could have been used much better as some of the more important characters you would've seen in the game are used very weirdly as you only see some of them for a few seconds without any introduction and it frustrates me as it's so obvious that the use if them is important but they rush through them making their appearances very pointless. The action in the movie is very good and it did get me very excited but I do wish they toned some of this down (as the fights scenes are pretty long) to extend on the storytelling to make this a much better film. The computer generations in this film looks really good and are animated very smoothly. I'm quite fond of the facial animations as it did a good job capturing the emotions the characters go through. The Japanese dub was pretty average and it's just as forgettable as the story of the film. The characters are also pretty hard to like as most of the dialog is them whining, bitching, and moaning but to be fair they don't whine for the sake of whining as the characters do have a reason for being so depressed but it will annoy people. Music in the film is also very forgettable. Despite the movie being average the special features were pretty decent. You get a bunch of trailers that aired on the Namco Ban-Dai website, television, and in theaters. There is also a special behind the scenes documentary that ended up being more interesting than the movie itself. Lastly there is also a special feature that was more mediocre than the film and it was a parody reel of them spoofing on themselves which was very painful to sit through. I can't recommended buying this one as there it's not very good but if you see this one in the weekly section at your local video store it will make a decent rental but other than that I don't recommended this film.